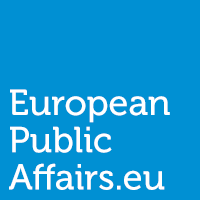 As many of our readers know, EuropeanPublicAffairs (EPA) is a platform for specialised political, commentary engagement and discussion in the area of European politics, policy, and strategically related developments with over 6000 followers on twitter, 2300+ likes on Facebook, and an average of 500-1000 unique visitors per day. Since its inception in 2013 EPA has been shortlisted, and won, numerous awards in EU affairs, including the Digital / Social Media Champion 2014 at the European Public Affairs awards in Brussels. Now in its 5th year, the European Public Affairs platform has been redeveloped so as to better engage visitors as well as provide contributors with more ways that they can showcase their talent and insights. We are looking to expand our team of voluntary contributors with those individuals who work in or share an avid interest in EU affairs and want to have their voice heard on a notable platform. We are looking for those insightful individuals that are self driven to help inform other about EU affairs. We are looking for passionate writers who are able to cut through the base analysis of various policies, providing explanation on how they impact individuals across the 28 member states. Inspired by those contributors struggling to have their theses’ research published, in addition to writing short articles, we know have ‘Long Reads’ which allow you to write in-depth on a topic of interest, or showcase your policy or public affairs research. Fond of reading and letting people know if books or reports are good or bad? Want to provide the EPA community with some key insights made in books or official reports. Want to capture the many voices of European Public Affairs? We are looking for contributors interested in interviewing and reporting on a spectrum of topics for our new podcast (to be launched late Spring 2018). Want to showcase your knack for creating engaging video content, explaining complex topics, drawing attention to important issues, or reporting on the latest news? Share your creativity with the world on EPA. Do you like trivia puzzles, such as Crosswords, but are frustrated at the last of puzzles around European policy? Start creating puzzles to do with EU affairs for EPA. Do you or an individual you know fit any of the above contributor needs? If so please get in touch for your chance to be published. Send along an explanation of what you would like to do, a sample of what you have done previously and your latest resume or CV to natashalevanti [at] europeanpublicaffairs.eu . An understanding of EU regulatory and legislative processes. A strong level of written English. A belief in debate and comment using web and social media. An ability to work with new people all with similar interests and share ideas. EPA is not a platform for EU rants or offensive comment. We value solution orientated views, and welcome all varieties of well founded debate. EPA is not a platform for tabloid or broadsheet organisation. Those serving in roles for EPA all have various interests and time commitments, we are not looking for full-time writers, just those who could add to or contribute to debate in a timely and professional manner. EPA does not endorse the views of authors, the views expressed by one author do not represent the views of other contributors or EuropeanPublicAffairs. PreviousMacron’s EUtopia of equals: Should France be pointing fingers at others while undermining the EU? NextLuxembourg to lose out in latest round of Eurozone changes. Will it defy the odds?